Educational and interactive toys for toddlers are important and help to develop physical and cognitive skills. While interacting and learning with these toys on their own they will develop sensory and fine motor skills and the cognitive growth of things like imagination, creativity, curiosity, discovery and problem solving. There is nothing more fun than watching babies and toddlers figuring out how to make things happen. Throw away the television, kids are way more entertaining to watch. Sit back, relax and smile. You can have fun watching while the toddlers have fun learning. Interactive and educational toys are a great way for kids to learn and develop at their own pace. Every toddler will achieve learning milestones when they are ready to do so and playing solo gives them that ability. With some guidance from mom and dad of course. Through interactive song and play your toddler will learn about animals and be introduced to familiar melodies to help them build and early vocabulary. This toy teaches and develops fine motor skills through repetition and practice while the kids learn animal sounds, names and colors. 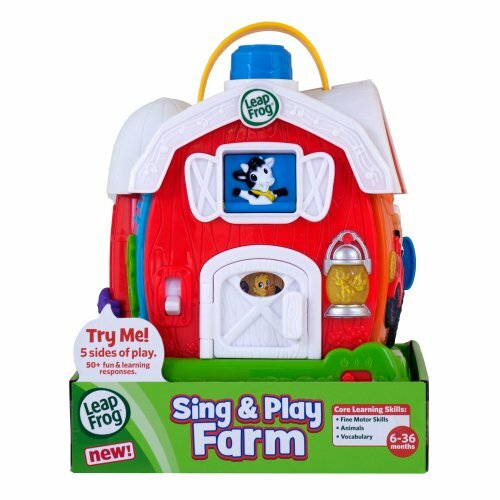 The LeapFrog Sing and Play Farm is recommended for ages 6 to 36 months. This fun interactive tub toy will help to develop your toddlers hand-eye coordination while having a blast in the water. It includes a colorful Octopus and three fun rings to toss. Have fun, get clean. It’s a win win situation. Tons of features on the VTech Touch and Learn Activity Desk. It comes with over 160 vocabulary words, over twenty popular melodies, and 9 colorful touch pages each with it’s own 4 learning modes. This activity and interactive learning center is designed for older toddlers from 3 to 6 years of age. The interactive desk top has four double-sided cards that introduce numbers, letters, animals music and more. It is set up like a desk and has it’s own stool. There is an LED screen that shows how to write letters and numbers step by step. 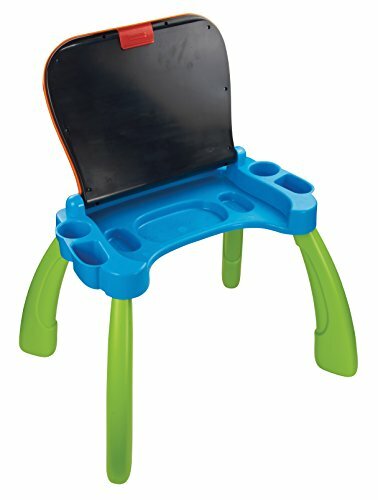 The desk table flips up to create an easel or chalkboard for kids to create their own creations. This is a best selling educational toy that features exciting songs and music that will teach your toddler about animals, colors and numbers. The fun “ladybug” button activates the sounds and interacts with your kids. Over 50 sing-a-long songs, music, sounds and fun phrases are included. This is a perfect interactive toy for kids between the ages of 1 and 3 years. This toy automatically shuts off after 45 seconds of inactivity to preserve battery life. Teaches counting and comes with 5 pleasant light colors to stimulate and encourage play. 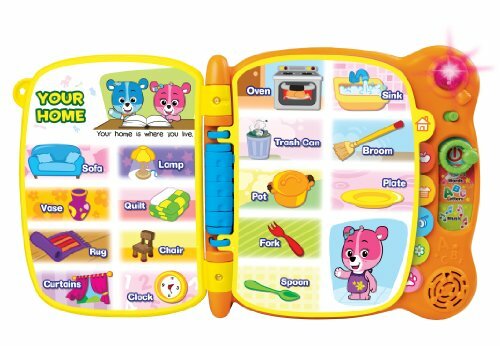 This interactive touch and teach educational toy book for toddlers features 12 detailed and touch sensitive pages that will help kids learn over 100 words in six categories. Introduces the ABC’s and is designed for toddlers 18 months to years. The pages react to your toddler and teaches fine motor skills as well as words. This is a great educational toy for pre-schoolers. 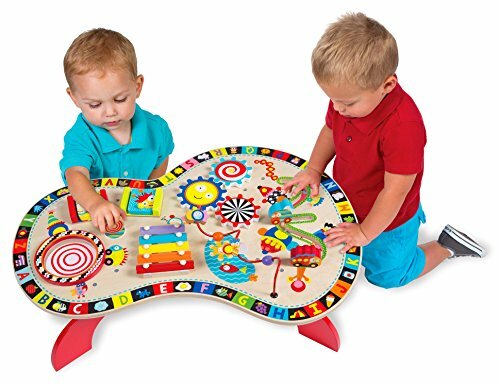 This interactive activity table can entertain up to 3 kids at one time. Fun musical activities include a xylophone and drum. Your kids will have hours of fun pounding, sliding, peeking, exploring and making music while at the same time learning and developing motor skills and coordination. Recommended for children 18 months and older. The Sit-To-Stand Learning Walker is a toy that will grow with your baby as they develop from a crawler to a walker. They’ll have a lot of fun doing it too. 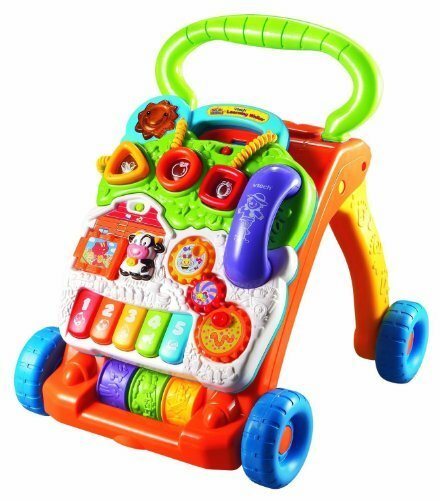 Three colorful rollers, five piano keys, spinning gears, telephone handset and light up buttons are just some of the features on this fun and colorful interactive toy. It can last as your child’s favorite toy from the age of 9 months right up to three years. 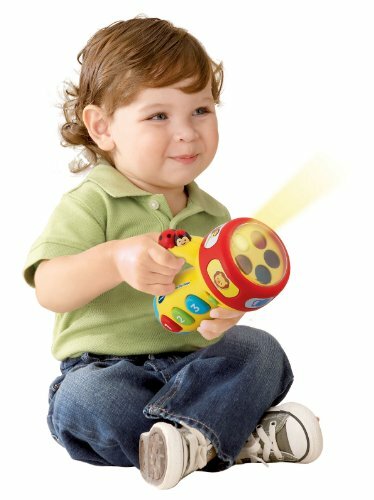 This baby remote plays more than 45 great sing-a-longs, melodies, phrases and sound effects. 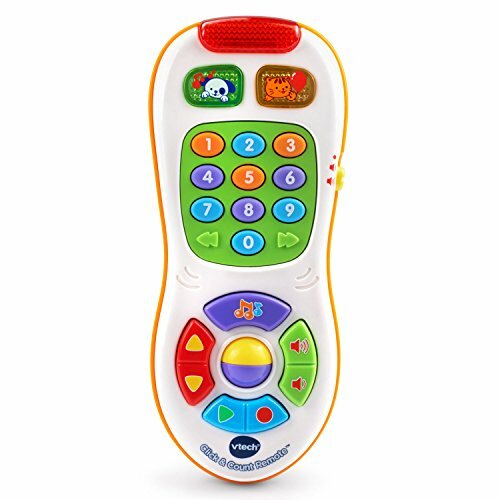 Ten buttons that introduce colors, numbers and shapes as the toddler pretends to use the remote. Recommended for children 6 months to 3 years. They will have a great time role playing with this toy and acting just like mom and dad. 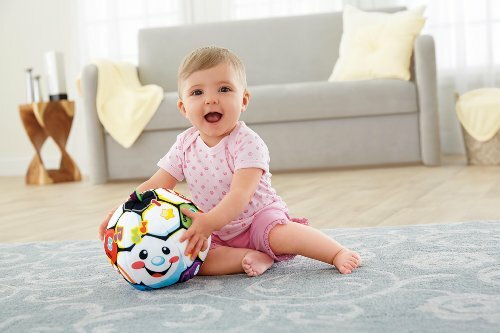 Learning, music and imagination go hand in hand with this interactive soccer ball. It teaches numbers, counting, colors, opposites, and even sportsmanship. This is designed for little ones between 6 and 36 months of age and encourages learning through active play. This interactive toy also encourages independent play and lets your baby develop self confidence and learn while they gain greater physical abilities.